In a recent post, I discussed how you can create the perfect offer every time by getting clear on the value proposition to your ideal clients. The 3-step process outlined requires you to get crystal-clear on your ideal client – what they are trying to accomplish, the pain points they want to avoid, and the positive outcomes they want to create. I received some amazing feedback from readers, including one entrepreneur that hit pause on launching an offer and started over again after realizing that she wasn’t focused on the right pains, gains, and goals for a particular customer segment. There wasn’t good customer fit, because she was focused more on what she wanted to create (as an entrepreneur) than the outcomes her clients want to create. Because of the lack of fit, she had been struggling to write compelling sales copy. She knew something was “off” and now realized that it was because she was trying to solve ALL the problems of multiple customer profiles all at once. She was all over the map, and she’s not alone. This is a really common problem and something most of us fall prey to at some point or another in business. 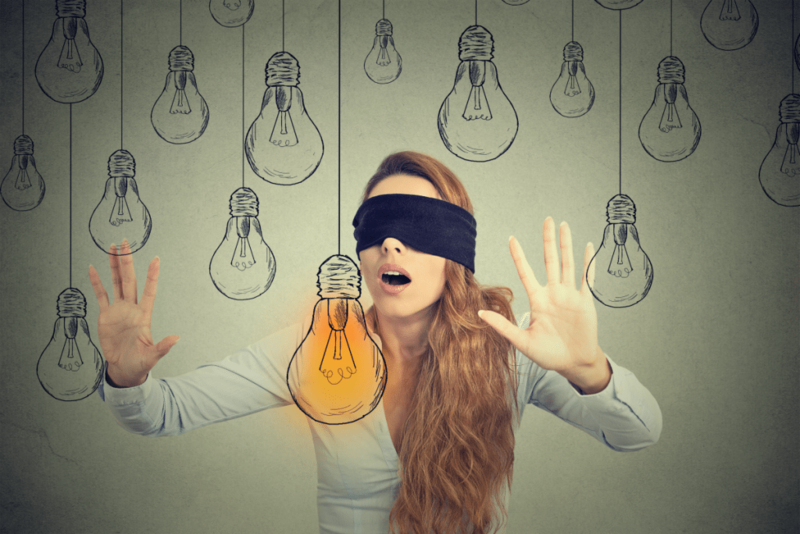 I want to offer another mindset shift on the offer creation process today, plus give you a method you can use for testing out your ideas before you create anything! Most people start with how they want to help (what they’re good at or products they want to create) and start trying to find customers for their solutions. That actually can work in some cases, but what if there’s another way to go about it? A way that could lead to better results more consistently that was more dialed into customer profiles and their unique needs. What if you flipped things around and looked at your whole business differently than most entrepreneurs? What if you defined your business based on who you serve versus what you do? 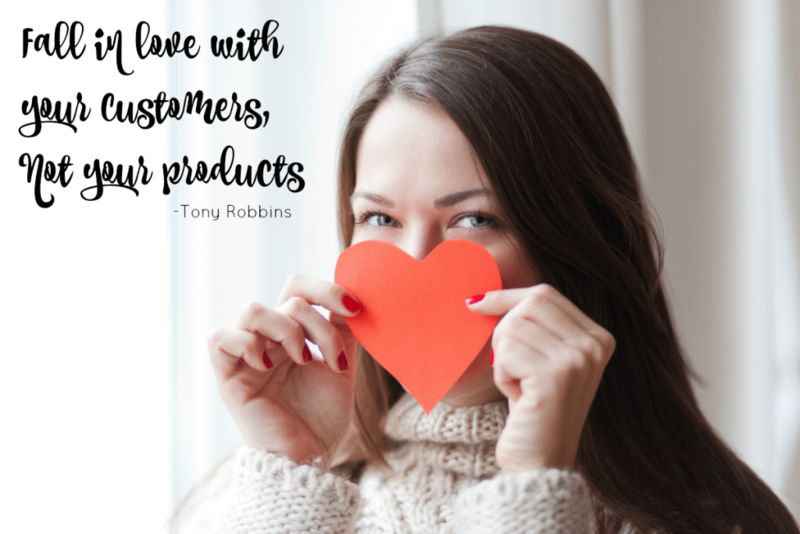 As Tony Robbins puts it, you need to fall in love with your customers, not your products. This shift in thinking was the point of my earlier post – to help you define your customer profile more clearly and dial in your offerings with the customer in mind. After going through this process, hopefully, you now have a better idea of what to create. But how can you test to make sure there’s real interest in getting help with the issues you’ve identified? You start by talking with customers, doing surveys and interviews as we discussed in the last post. You need to get out of your head and get evidence that you’re correct about the goals, pains, and gains that matter most to your customers. Then you also need to test to see how much they actually care about these issues – are they real priorities or not? Then you also need to test to see how much they actually care about these issues – are they real priorities or not? Now you have a hypothesis that you need to test! So go back in your mind to high school science class and decide how you’ll go about testing it. Test for interest, priorities and preferences, and willingness to pay. Try to get them to take action to prove your hypothesis (that they actually WILL take an action and don’t just SAY they want help). Take your hypothesis and create a formal experiment for yourself. A format I like is a scorecard system developed by Strategyzer. Here’s my take on their format. What do you think there’s a need for in the market? What will you measure in your test? How will you know if you’re on the right track? I believe that entrepreneurs want to learn about Facebook ads. To test my theory, I will run a Facebook ad campaign targeting my ideal clients with a free guide about Facebook ads that entrepreneurs should be using. I will measure the CTR% (click thru rate) and conversion rate to sign-ups. I am on the right track if the CTR% is 2% or greater and the opt-in rate is 40% or greater on the page. After running the experiment you designed above, measure your results. I believed that entrepreneurs want to learn about Facebook ads. Results I saw were an average of a 4.75% CTR and a 71% conversion rate on the sign-up page. From that, I learned there’s a strong interest in this topic. Once you go through some testing, your offerings should now be a great fit for your ideal clients, which will lead to a smoother sales and marketing process. In the next post, we’ll talk about the “evolution” phase of your business. What to do once you have a business that’s doing well, so that you can keep innovating in a way that feels good for you AND your clients. Tell me in the comments – did you research your ideal clients and test before creating your offers or just dive right in?